First, just wanted thank everyone supporting this blog. My site hit 10,000 views today, leading me to believe that this hasn’t been a complete waste of time. Initially resistant feelings plagued me, as I begrudgingly signed up for WordPress, but now I fully embrace the art of blogging. Below, please enjoy 10 reasons why blogging is better than Facebook. 1. Research Widespread Information: With millions of blogs to choose from, you gain access to thousands of different stories. Facebook only allows you to read through the news feed of friends, while WordPress opens the doors to many different categories of acquaintance’s blogs. 2. Develop New Perspectives: In the United States, I rarely trust what the lamestream media leads us to believe. When it comes to global affairs, I would rather read a personal blog from Syria, living vicariously through that individual, than listen to Fox News delivering falsified information from the middle east. By contrary, anyone looking to expand perceptions should challenge their views by reviewing information he or she may not agree with. 3. Validate Ideals:Blogs are great to read on a bad day. No need to feel alone in a world where someone else is facing the same problems as you. Some blogs are dedicated entirely to a particular problem, struggle or disease the writer is dealing with. Bottom line, you can find just about anyone to agree with you on a given topic if you look hard enough. Anyone seeking guidance and relief is strongly encouraged to peruse the blogging realm. 4. Challenge Yourself: Status updates are quick and instantaneous, but don’t you get bored with them? Your Facebook account remains easy to maintain, but those of us that love to write appreciate the gratification of posting a blog. Why not ink out a brief post about something that actually matters versus your irrelevant opinion concerning the series finale of Breaking Bad? 5. Concentrate More Effectively: In a multitasking world, Americans are taught to slave in fast-paced-don’t-think-just-work environments, cultivating what I like to call “An ADHD Society”. Meditating aids in attempts to reverse these effects, while blogging has personally helped me to stay focused on the task at hand. Often deemed “high strung” by close friends, I need an activity that steadies my attention. If anything, Facebook always steers me from what I should be doing. 6. Enhance Your Expertise: Many bloggers choose a theme for their site. My objectives revolve around New Years Resolutions, but others may choose nutrition, gardening, interior decorating or Egyptian Culture as their subject of choice. As time continues and the author consistently researches the topic, he or she becomes increasingly credible. Just as Justin Beiber (unfortunately) became famous from Youtube, many of the most powerful blogs have led to promising careers. Use your platform as the chance to become more knowledgeable. 7. Live Intentionally: Whether or not you realize it initially, blogging turns into this therapeutic process of getting to know yourself. Between food diaries, exercise plots and studying tactics, everyone begins blogging with a purpose and ends up feeling a sense of accomplishment when goals are met. In other words, blogging has been known to hold writers accountable. If the point of your blog is to track cardio progress, the reader is more likely to succeed with a perceived audience to impress. Blogging heightens awareness, leading to a life lived with more positive intent. 8. Practice Writing: A professor at Middle Tennessee State University strongly urged us to blog after school, especially if we weren’t returning to graduate school immediately. She had a good point. Blogging takes skill, and those who blog after school are more likely to retain the dedication it takes to perform extensive research and complete lengthy essays on time. 9. Get Creative: With Facebook, only so much room exists to get creative. Hardly anyone writes notes. “Liking” every page known to man isn’t expressive, and frankly no one cares that you like every band you’ve ever listened to either. Users are very limited in self-expression via Facebook unless it’s the typical duck-faced chick taking daily selfies to console her low self-esteem. 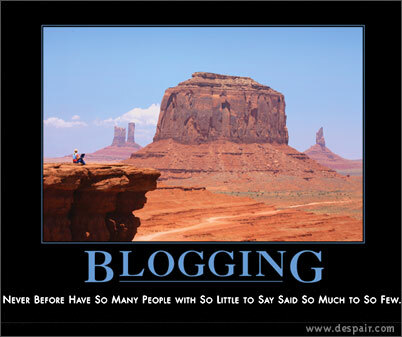 Blogging isn’t as easy as clicking “like” on random pages, pretending to be an expert on that particular subject. Blogging is about proving what you know by what you write. From setting up your blog, to selecting a theme and expanding on it, to building an audience and even the art of writing in and of itself takes more dedication than Facebook ever will. 10. Increase Confidence: My favorite aspect of blogging, building confidence, ties most of these reasons to blog together. Facebooking rarely builds skill, but by practicing writing, getting creative and living with purposeful intentions, blogging turns writers into self-assured individuals. If you have an additional reasons why blogging is better than Facebook (because it is) feel free to share. Oh and most definitely congratulations to your achievement! Cathy, your points are so well taken. I knew some of the reasons why I blog besides wanting to help people in a number of different ways as well as business. But your listing them as you have has added even more clarity to something that I was not able to totally put my fingered on. I am about to hit a milestone myself since beginning my blog on my energy wellness approach. Hi, Cathy – Thanks for liking my post and following my blog, a pleasure to know and read your blog and follow it. I use Facebook quite a bit and it’s because I have lived in Australia and now North Cyprus, and it enables me to stay in touch with my friends and family in Oz, in the US and also the UK. I also blog a lot too, but I find Facebook is my lik to family and friends and I really feel gratitude for its existence. Which, isn’t by the way, to downgrade your thoughtful comments on blogging vs. FB, just an addition to the information exchange. I like your take on Blogging vs FB and agree on how much value other peoples Blogs add to ones life. LOVE, LOVE LOVE, this post! I can’t agree more Cathy! Seriously. Congrats on reaching 10,000 views! I totally agree that you get to know yourself better through blogging. I am also finding that sharing what I have learned about myself helps me to connect with others in a deeper way. Keep up the good work! I couldn’t agree more, it’s amazing how you much learn in the blogging world when interacting with others…I’ve come to learn from and enjoy blogging much more than expected. This is a great thoughtful post. Thank you for it! It’s an encouraging read for us fellow bloggers! I like to think the world can be one with both but alas, blogging is my go to. I started it for myself because I always have too much to say that my hand cramps up writing in a diary. I never realized that other people would be interested in what I had to say. And now look where’s it’s gotten us? Wow! 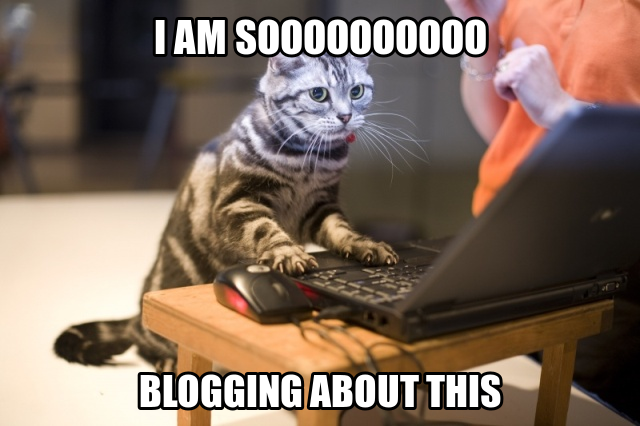 I love your reasons for blogging. So true that it keeps you focused and attentive. Even though I taught English and some creative writing, blogging has helped me with those skills. I totally agree with all of this and wish I had started blogging sooner. Even if no one reads it, it’s good for myself. Congratulations on reaching 10,000 viewers, and with great writing like this piece demonstrates, more and more people will read, enjoy, and benefit from your work! Your top ten reasons while blogging is better than Facebook was a great perspective, and while I do enjoy Facebook, I agree with the advantages and benefits of blogging.